Hey WebFamilies! 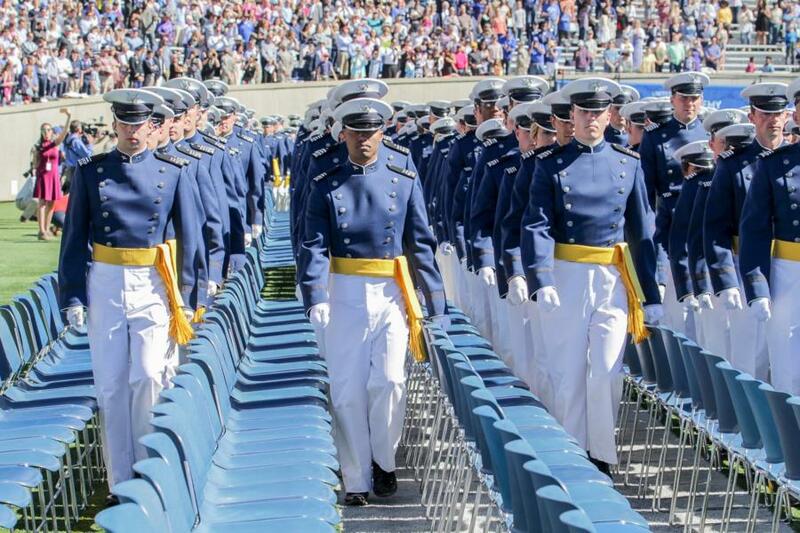 Graduation Week at USAFA has come and passed this week and boy was the Cadet Wing busy! We stopped by several different events throughout the week and we'll give you a glimpse of each in the blog. After each event we will provide a link to the first page of those sets of pictures! Congratulations to all of the 2017 parents! 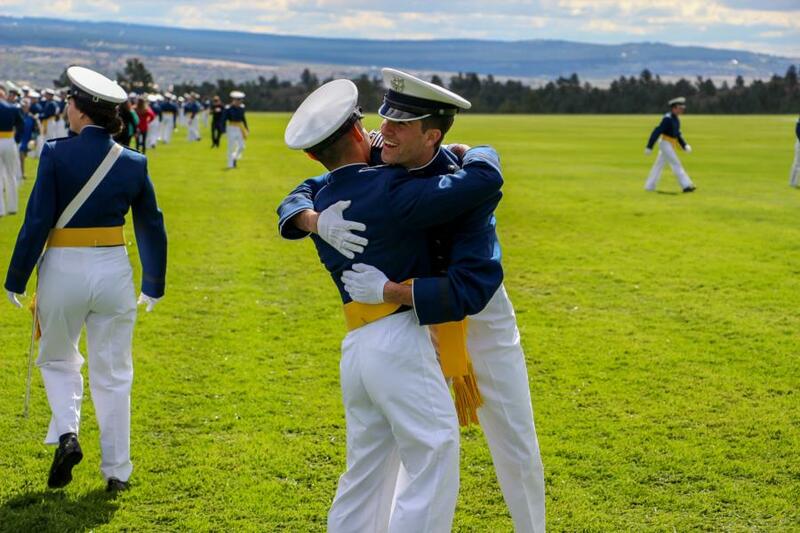 We couldn't be more thrilled for you and your Cadets, who are now newly minted 2nd Lts in the United States Air Force. 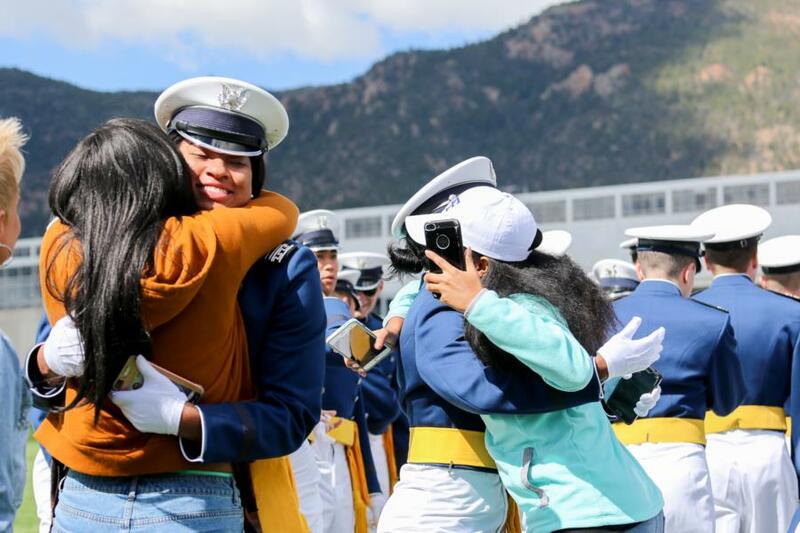 If you've already ventured into the Graduation Week Gallery on the 2017 Class page, you'll have noticed quite a few pages of pictures already. 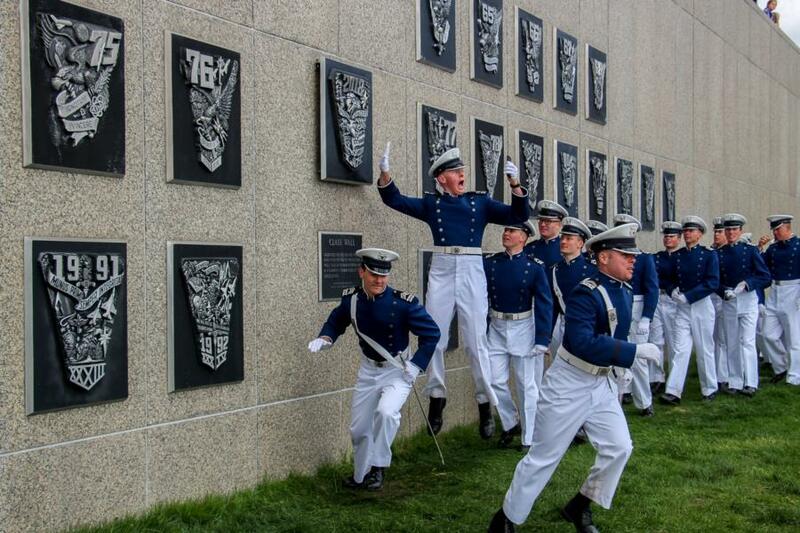 Outside of the fountain jumps, those are all from last years Blue Suit Ceremony and the 2017 class running for their Class Crest after the Graduation Parade. 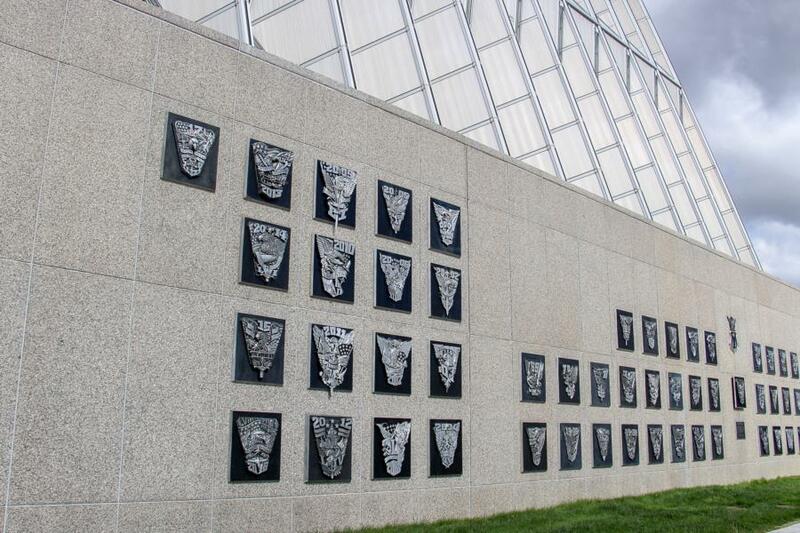 We will be multi-tagging pictures again this year, for the Blue Suit Ceremony with the classes 2017, 2018 and 2019 as well as the Class Crest pictures with 2017 and 2018. So don't be alarmed with the current pictures already in the Gallery. Pictures from this week's events start on page 91! 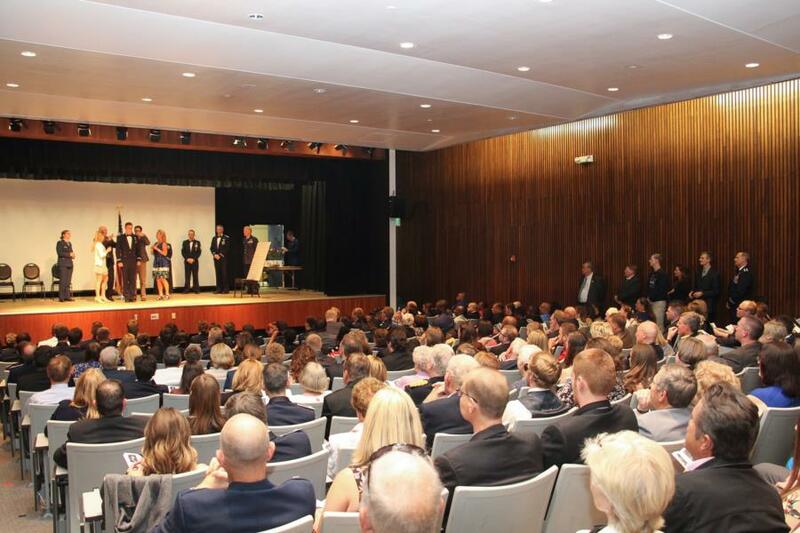 Enjoy the highlights from this week's events! 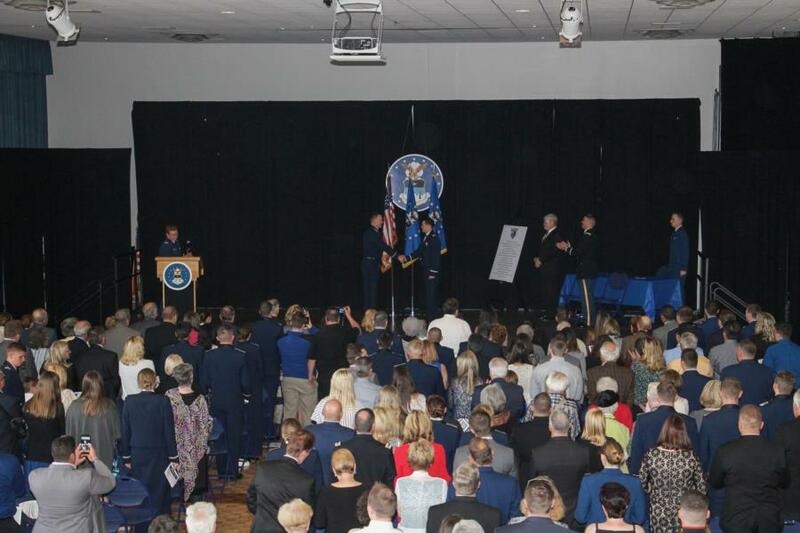 On Monday afternoon we attended the Blue Suit Ceremony, which was a celebration and promotion of the members of the Wings of Green Parachute Team moving up to the Wings of Blue Parachute Team. 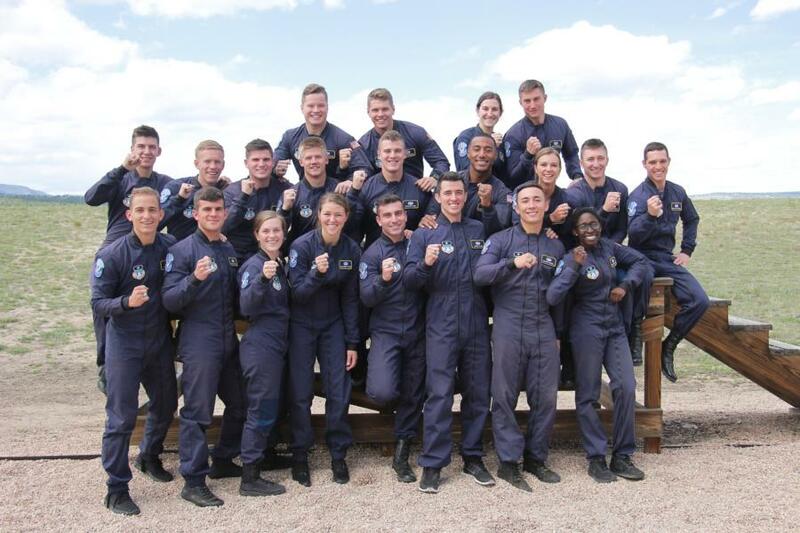 During this ceremony they receive their blue jump suits as well as their Jumpmaster/Instructor certificates! 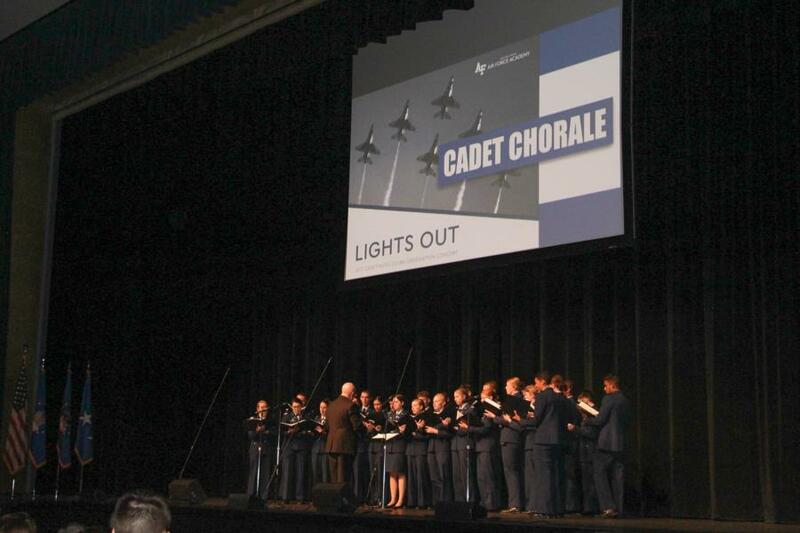 To view the rest of our glimpse into the Blue Suit Ceremony go to; Classes - 2017 - Graduation Week. Pictures start on page 91. Or click the link below. 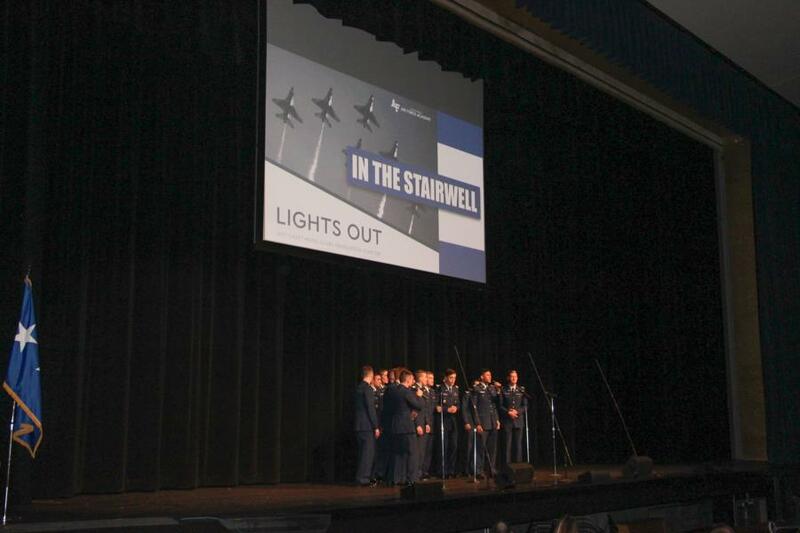 On Monday evening, the Cadet Chorale Choir, Cadet Orchestra and In The Stairwell all performed for Cadets and Families in a free concert. They each performed several songs on their own and then came together at the end to finish out the show. 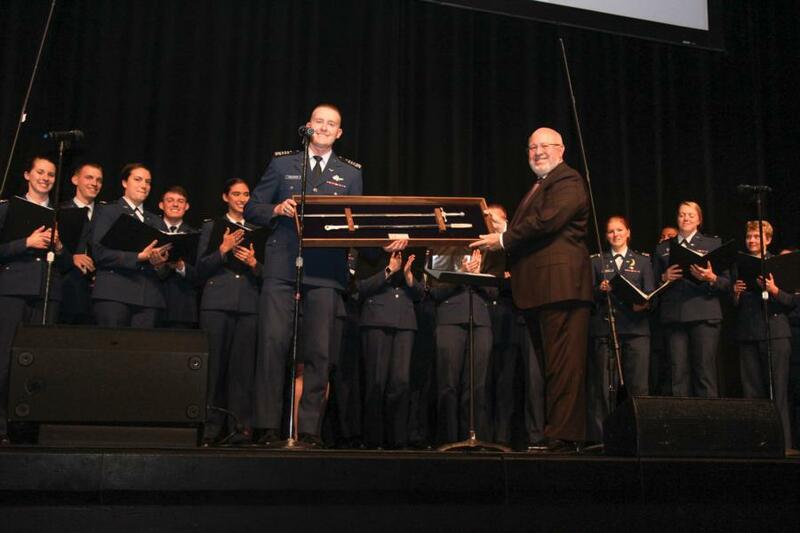 The Cadet Chorale Choir Director Gary Dekler was presented with a gift from the Cadets, as this was his last year directing the choir. 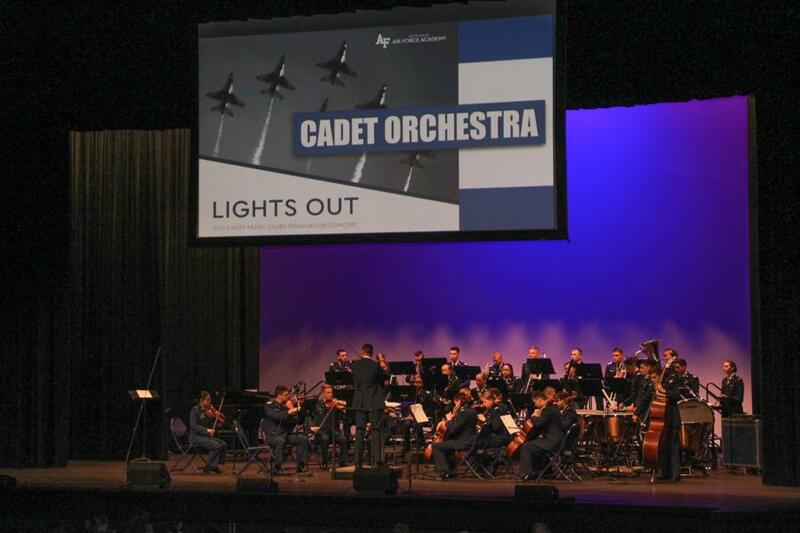 To view the rest of our glimpse into the Graduation Concert go to; Classes - 2017 - Graduation Week. Pictures start on page 98. Or click the link below. Tuesday morning started off with the Graduation Parade which was the last parade for the class of 2017. 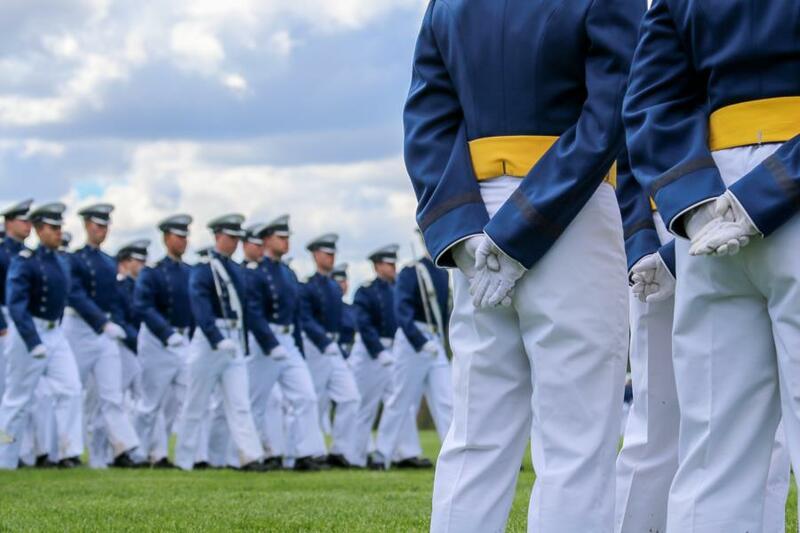 This parade is special as the Class of 2017 enters the parade field with the entire Cadet Wing then depart the lower three classes as a symbolic Change of Command ceremony, recognizing the Class of 2018 as the new Firsties and the class of 2017 as Officers in the USAF. 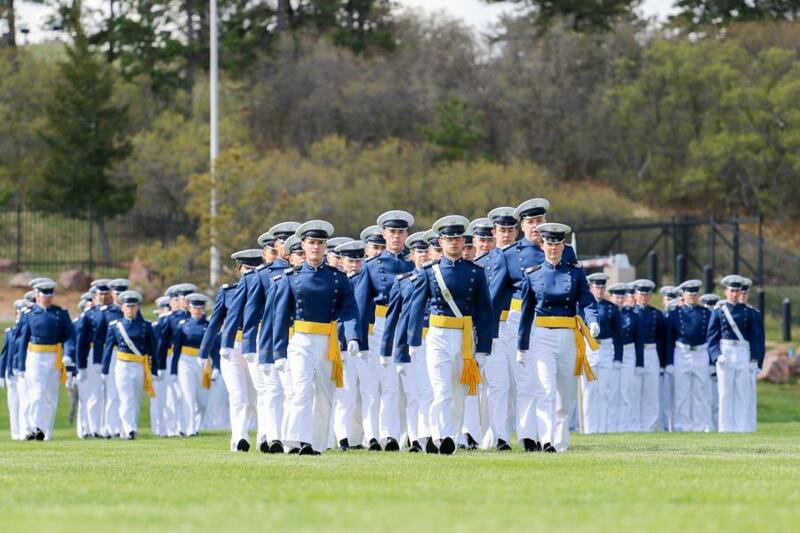 The formation used by the Class of 2017, to leave the Cadet Wing, is the opposite of the formation they used to become apart of the Cadet Wing during their Acceptance Day Parade 4 Years Ago. 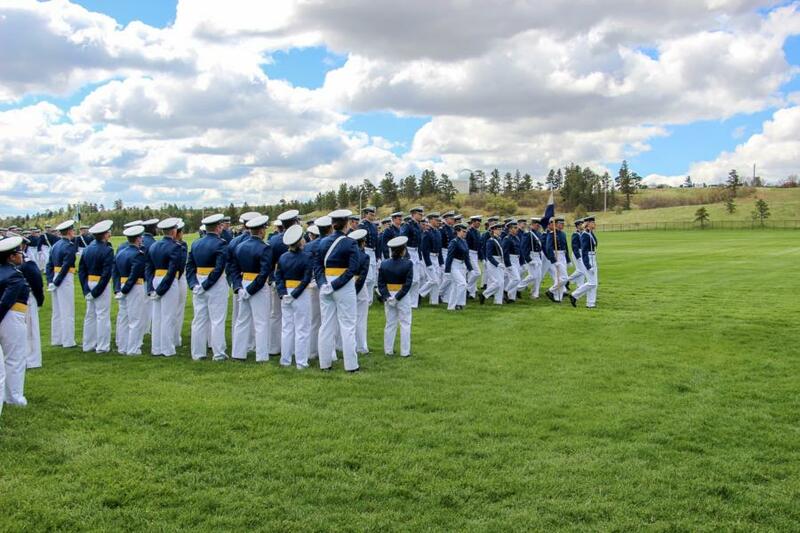 After the parade concluded on the field the rest of the Cadet Wing returned to the Tzo. 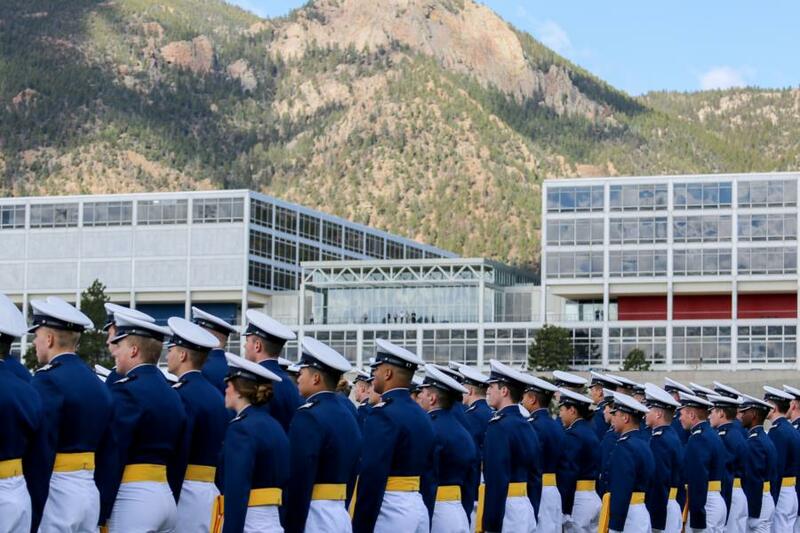 During the Graduation Parade the Class Crests were being switched, placing 2017's Class Crest to the left to show their departure from the Cadet Wing and putting 2018's Class Crest in it's place to show the new leaders of USAFA's Cadet Wing. 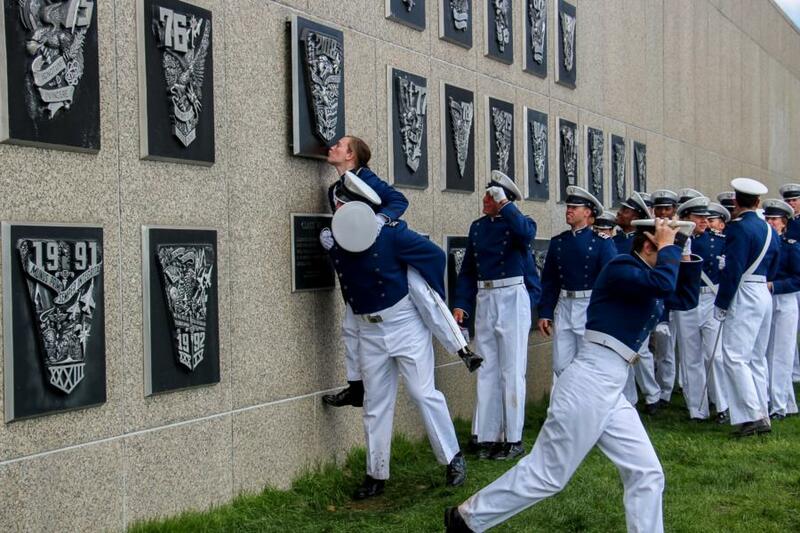 As the Cadets marched past the Class Wall, the Cadets from the class of 2018 broke formation to run up to their newly placed Class Crest as celebration for becoming Firsties! 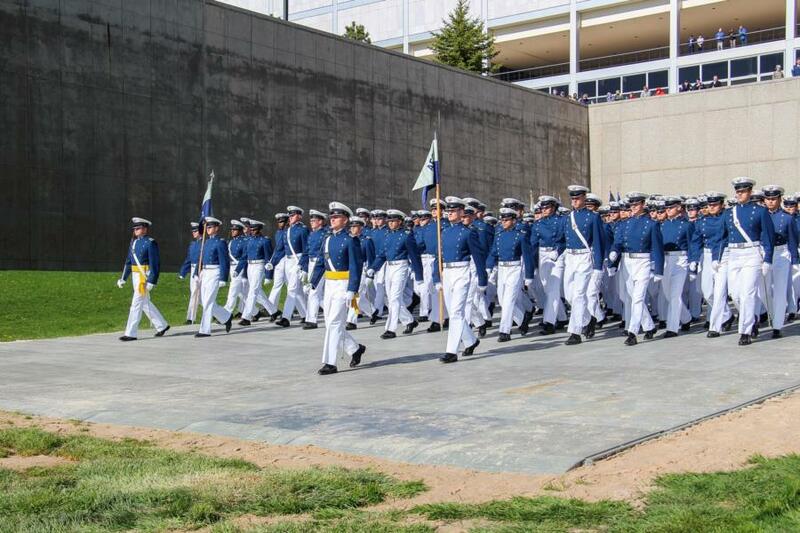 To view the rest of our glimpse into the Graduation Parade go to; Classes - 2017 - Graduation Week. Pictures start on page 102. Or click the link below. 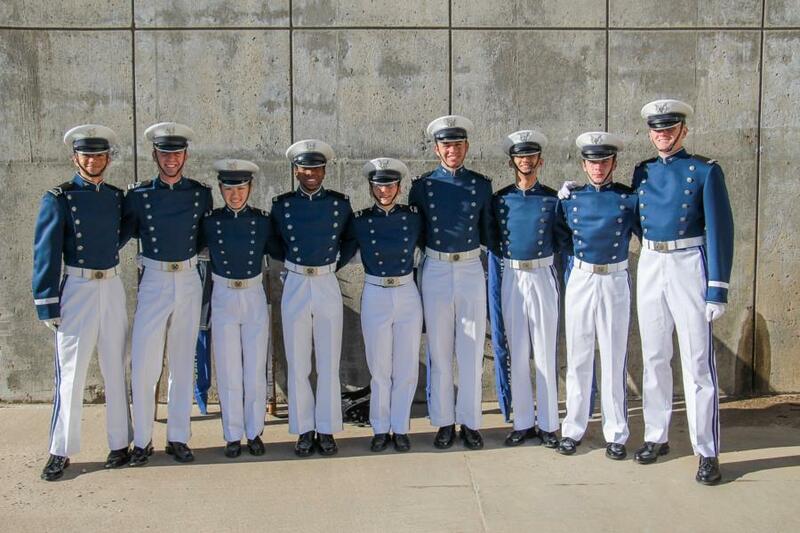 Tuesday evening, we were able to stop by several Commissioning Ceremonies. 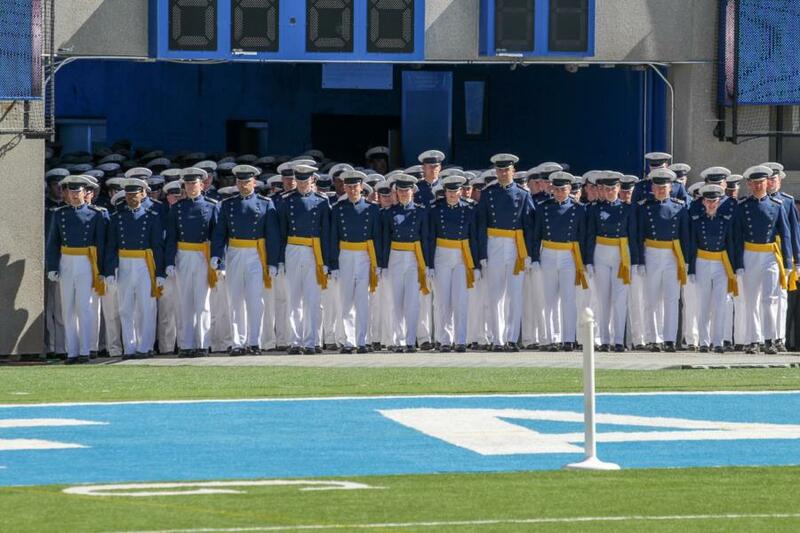 Please understand with the ceremonies that we were not there to capture each cadet experience as they were sworn in. 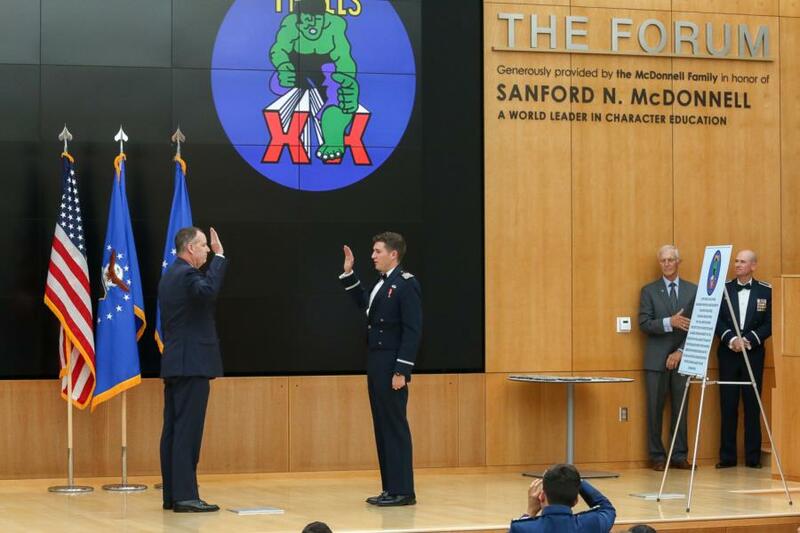 Our presense was merely to give parents a glimse of Commissioning and to overall celebrate the Cadets from the class of 2017 becoming Officers after having been officially sworn into the United States Air Force. 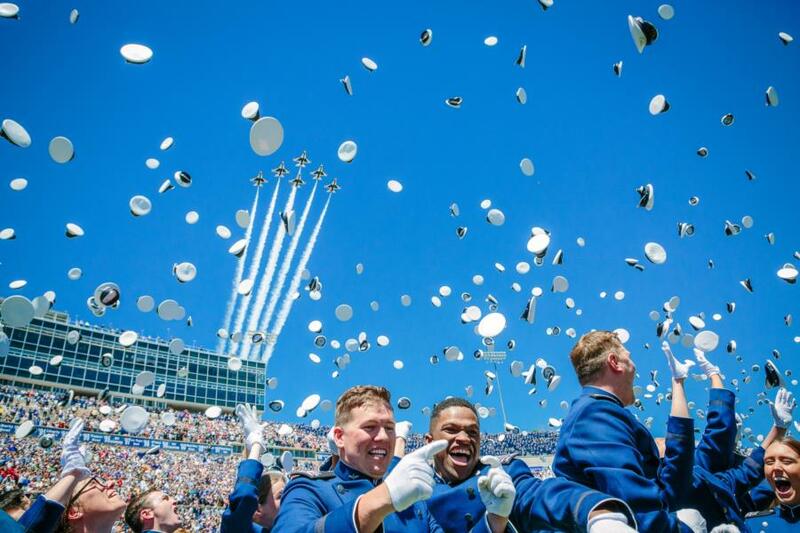 To view the rest of our glimpse into the Commissioning Ceremonies go to; Classes - 2017 - Graduation Week. Pictures start on page 158. Or click the link below. 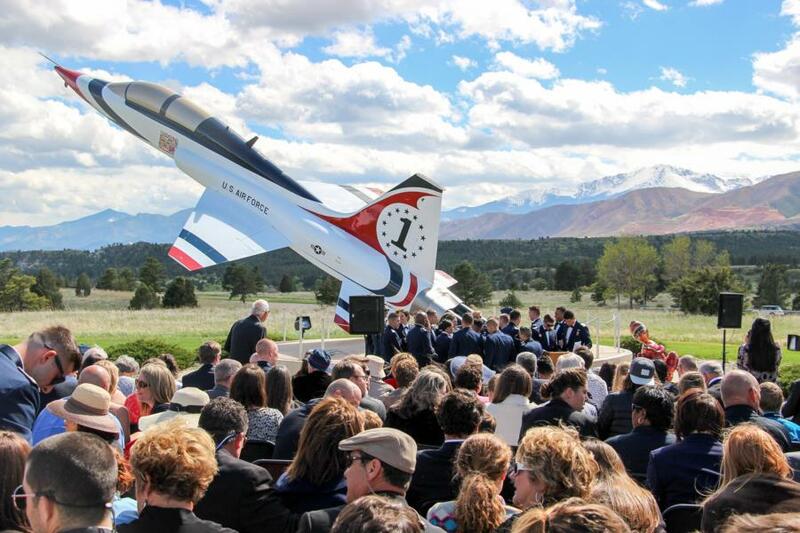 Wednesday was Graduation and what a beautiful day it was! 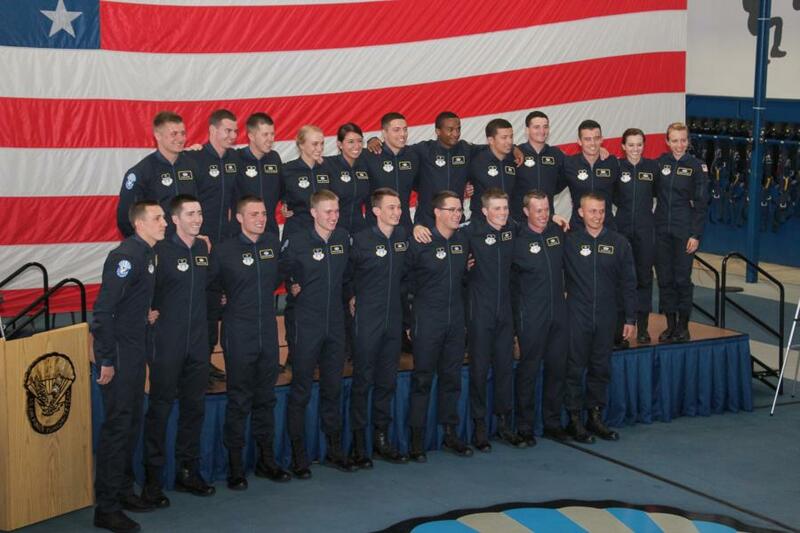 The AOG's Communication's Department graciously shared pictures that they took while at the Ceremony! 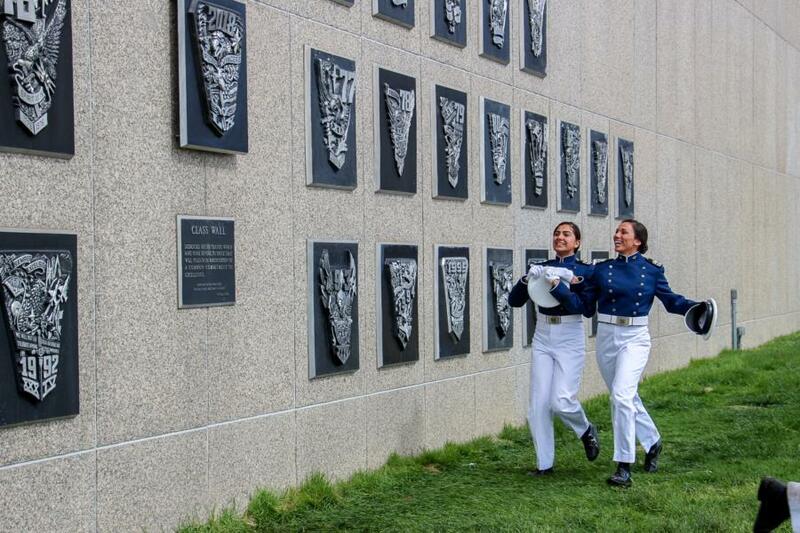 Be aware, like with the Commissionings, it is not guarenteed that every Cadet/2nd Lt will be photographed. 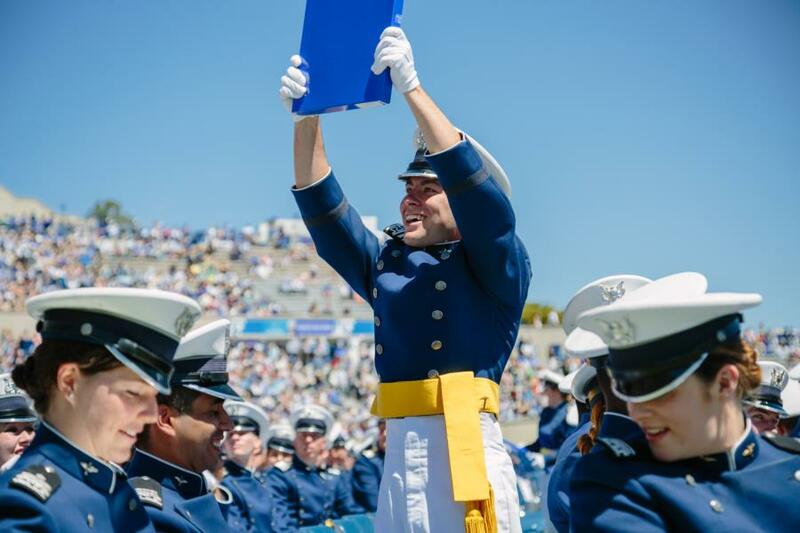 There were also professional photographers who were posted in the front row getting close-up shots of each Cadet as they received their diploma. 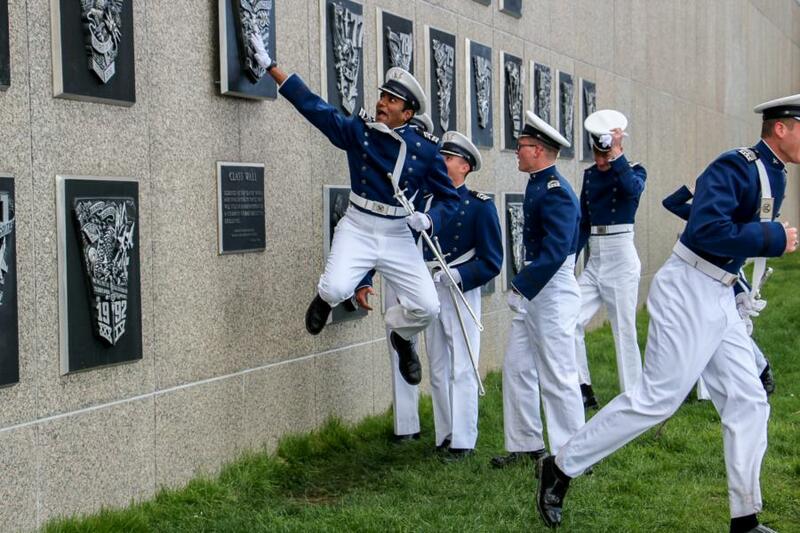 You or your (now) 2nd Lt will have most likely gotten something in the mail in regards to their pictures as well! 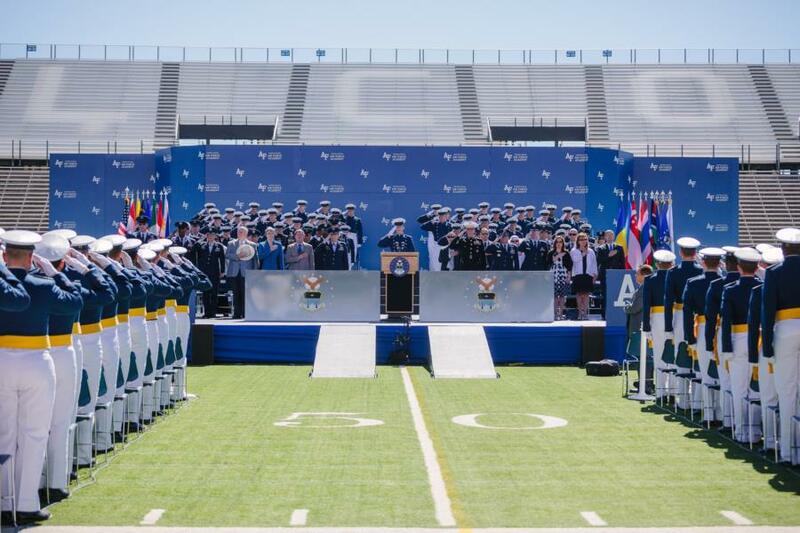 To view the rest of our glimpse into the Commissioning Ceremonies go to; Classes - 2017 - Graduation Week. Pictures start on page 180. Or click the link below. 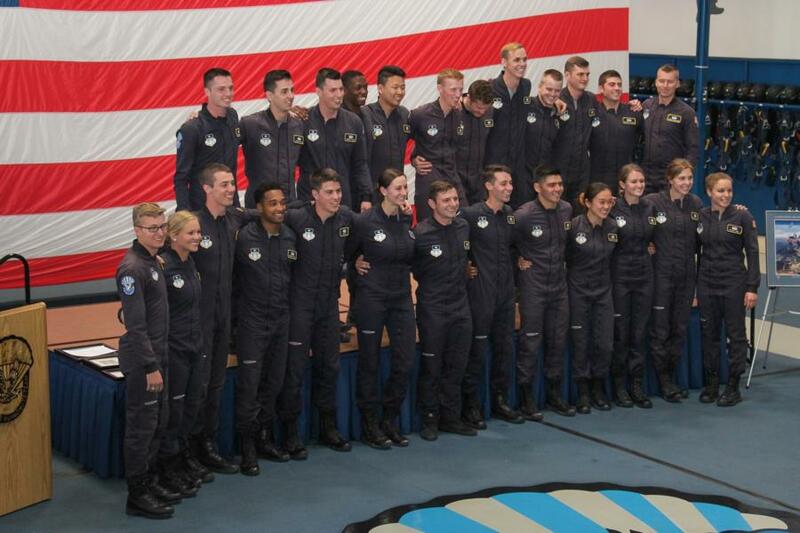 Again a big Congratulations from all of us here on the WebGuy Team to the entire 2017 Class! We are so excited for each and every one of you and know you all have bright futures ahead of you!